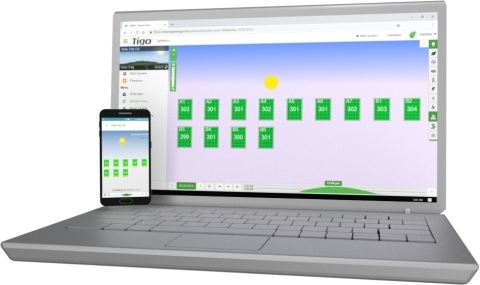 Tigo®, pioneer of the Smart Modular Flex MLPE platform, today unveiled the updates to its SMART Website, the company’s next generation online monitoring platform. The SMART Website manages system-, string-, and module-level data for utility, commercial, and residential PV systems. System analytics track production, send alerts, and proactively suggest maintenance actions to keep systems operating at maximum efficiency. For Rapid Shutdown, Tigo's SMART website can remotely power-off each module individually, eliminating high voltage for maintenance or safety purposes. Customers can upgrade from Basic to Premium monitoring subscription on either site to enjoy maximum visibility into their systems. Improved UI - Better user experience for desktop, table, and mobile logins. Enhanced Overview - New summary page shows new system view, detailed charts & alerts. Simplified Navigation - More intuitive and aesthetically designed website layout. Faster Responsiveness - Information loading for large PV sites quickened with data processing. Detailed Alerts - Easier onsite & remote troubleshooting steps match email/SMS alerts. Convenient Configuration & Registration - Prompted setup includes more customized options. New Guidelines - Added information & steps throughout website and system setup process. Feedback Opportunities - Suggestions from users can be provided on every webpage.